Let me admit it straight away, the wanderlust in me is never satiated. I may be rooted in front of my desktop the whole day, but my mind always wanders off to the destinations on my bucket list. And, I never miss a chance to take my body to those places my mind has already been. Long weekends or holidays or a much-needed break, I am always prepared to hit the road at the drop of a hat. So, last month, I decided to take off for a few days, leaving deadlines and boardrooms behind. The idea was to tick off a few destinations from my ever-growing list, and I chose a route that’s always popular among travelers from across the country – the Golden Triangle Tour, covering Delhi-Agra-Jaipur! After a few days of planning and researching, I opted for a 5-day tour of the Golden Triangle circuit. If you ask me what’s so special about the Golden Triangle route, I would say ‘everything’, and this is in no way an overstatement. Not only does it allow you to travel through three different states, it also gives you a glimpse of some of the best heritage places in the country including Qutub Minar, Red Fort, Amber Fort, and the enigmatic Taj Mahal, to begin with. The vibrant cultural milieu and the colorful crowd lend an added dimension to this tour. As mentioned, my focus was solely on places that speak volumes about our country’s history and heritage, so I came up with an itinerary accordingly. Here’s to you a detailed, day-by-day account of my trip. Qutub Minar has always fascinated me ever since I first I read about it in my school books. This five-story tower of 73 meters height is the tallest brick minaret in the world and a UNESCO World Heritage Site. An imposing monument of Indo-Islamic style, it dates back to the 11th-century. The complex of this historic tower houses the Iron Pillar and several other monuments and tombs. An architectural splendor and another UNESCO World Heritage Site in the capital city, the tomb houses the mortal remains of the second Mughal Emperor of India, Humayun. The garden-tomb, which is also called Maqbara e Humayun, was the first of its kind to be built in India. This grand edifice, inspired by the Persian architectural style, will leave anyone in complete awe. True to its name, the Lotus Temple is designed in the shape of a lotus flower. It is a Baha’i house of worship that welcomes people of all religions. Set against a lush green landscape, the white marble temple presented a breath-taking sight to behold! Built in the year 1986 at a cost of a whopping US$ 10 million, Lotus Temple has earned the reputation of being one of the most visited attractions in the country. My last stop for the day was the India Gate. It is a war memorial that commemorates 70000 soldiers of the British Indian Army, who perished in the First World War. Under the 42-meter high archway stands another memorial, Amar Jawan Jyoti, built in memory of the soldiers who lost their lives in the Liberation of Bangladesh War in 1971. The eternal flame here burns day and night. 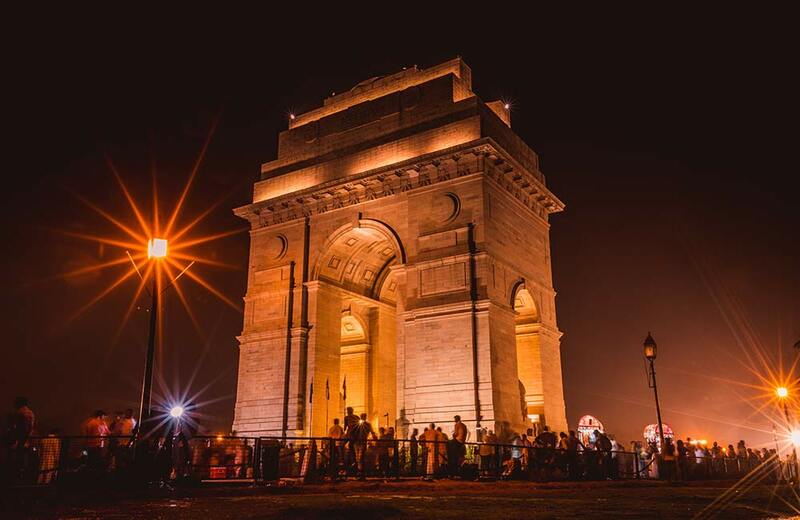 The good news is that there are many eateries and shopping places around Rajpath. I had a refreshing coffee and a plate of spicy biriyani from Andhra Bhavan, located about 800 m from the India Gate and I also bought a few souvenirs from the streets. After a day of hectic sightseeing, I retired for the night in the comfort of my cozy hotel room. The second day of my tour began on a high note as I checked out of my hotel and traveled towards Old Delhi to explore some of its architectural jewels and the fabled Chandni Chowk market area. I spent the early hours of my day at the famous Jama Masjid, and let me tell you it was totally worth it. With a huge courtyard that can accommodate more than 25000 people, Jama Masjid stands as one of the largest mosques in India. It was built by the Mughal Emperor Shah Jahan at a cost of one million rupees way back in the 17th century. The next attraction on my list was the iconic Red Fort (aka Lal Qila) that is located around one kilometer from Jama Masjid. 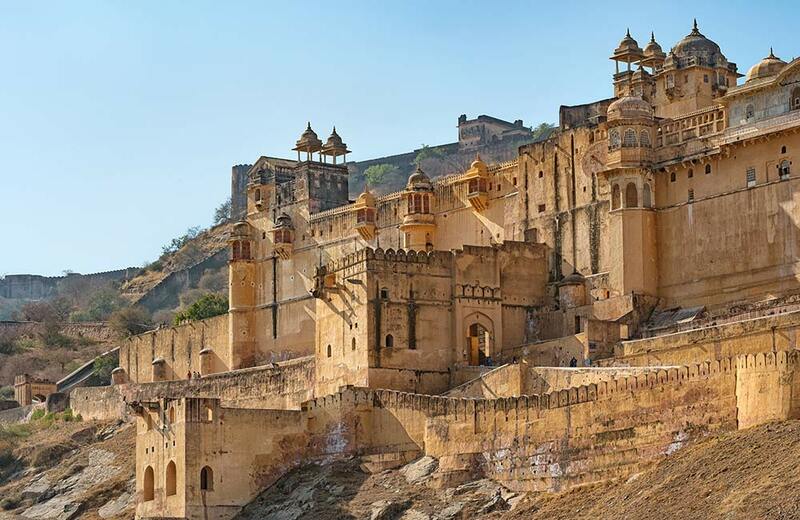 This historical fort was the royal residence of India’s Mughal Emperors for about 200 years. Spread over an area of 254 acres, the majestic 17th-century fort houses several beautiful structures like Mumtaz Mahal, Rang Mahal, Hira Mahal, Khas Mahal, and Moti Masjid among others. 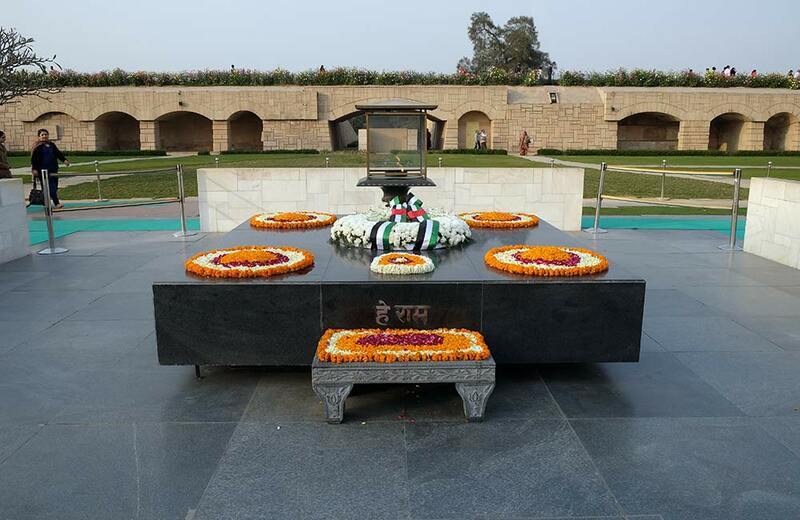 I next proceeded to Raj Ghat, a memorial dedicated to the father of the nation, Mahatma Gandhi. Situated on the banks of river Yamuna, the memorial is marked by a black marble platform standing amidst a beautiful park. It is the very spot where Gandhiji was cremated in 1948. Finally, I began exploring the Chandni Chowk market area – the oldest, busiest, and liveliest part of Old Delhi. Shopping in this busy wholesale market area can be an experience in itself. I was delighted to absorb the sights, sounds, and colors that filled the place and allowed me to get a feel of Old Delhi in the truest sense of the term. A late lunch at Paranthe Wali Gali satiated my gastronomic cravings before I proceeded towards Agra via the Yamuna Expressway. After a drive of around four hours, I reached the city and checked into the hotel in Agra I had made a prior booking at for an overnight stay. The priceless jewel of India’s architectural heritage, Taj Mahal left me wonderstruck. The ethereally beautiful white marble monument was built by Shah Jahan as a memorial for his dear wife, Mumtaz Mahal, a Persian princess. 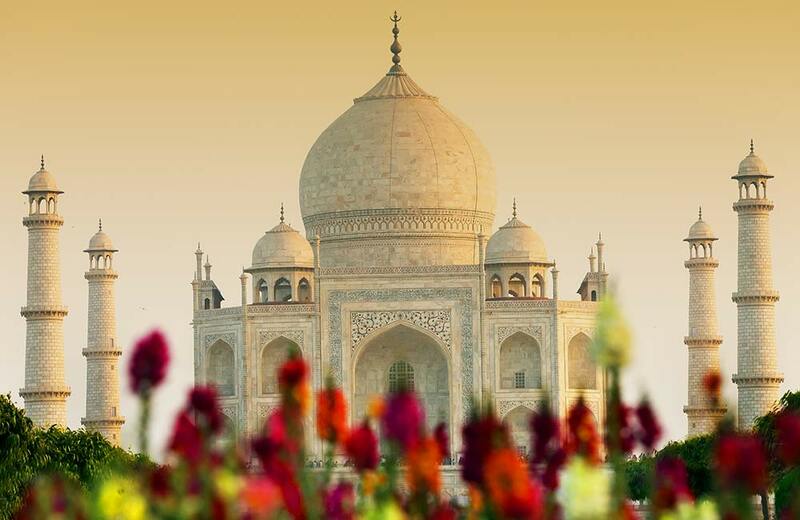 A universally admired magnum opus, Taj Mahal is truly the finest example of Mughal craftsmanship in India. But, more than anything else, it’s an ode to everlasting love! This massive fort, built in the 16th century by Emperor Akbar, served as the main residence of the Mughal Emperors till 1638. Constructed along the banks of river Yamuna, it is one of the finest Mughal forts in the country and includes impressive structures like the Diwan-i-Khas, Diwan-i-Aam, Moti Masjid, Shish Mahal, Musamman Burj, etc. When I stepped into Fatehpur Sikri, another UNESCO World Heritage Site in the country, it felt as if I am being transported to a different era altogether. The abandoned capital of Akbar’s Empire is a rich architectural legacy in itself, to say the least. Immaculately designed buildings like Buland Darwaza, Jama Masjid (yes, here’s another one), the tomb of Sufi Saint Salim Chishti, Panch Mahal, Birbal’s House, Diwan-I Aam, and Diwan-i-Khas were a treat to explore. As I left Agra and Fatehpur Sikri behind and made my way towards Jaipur, I was left with a longing desire to revisit these places in future. A drive of about four hours took me away from the land of Mughal grandeur and placed me in the vicinity of Rajputana architectural splendor – Jaipur, the Pink City of India! After a relaxing night at one of the lovely hotels in Jaipur, I was eager and ready to soak in the beauty of the Pink City. My itinerary for Day 4 was an interesting mix. Here’s a quick overview of my sightseeing itinerary in Jaipur. City Palace is a stunning monument that reflects the merger of Rajput and Mughal architectural style. Impressive structures within the palace, like Mubarak Mahal, Chandra Mahal, Maharani Palace, Diwan-i-Aam, Diwan-i-Khas, Govind Dev Ji Temple, etc. all reflect the beauty and grandeur of this palace. Jantar Mantar is an astronomical observatory that was constructed in 1734 by the Rajput king Sawai Jai Singh II. The observatory is home to the world’s largest sundial made out of stone. It has an assortment of nineteen architectural astronomical instruments dating back to the 18th century, all of which were built by Sawai Jai Singh II. 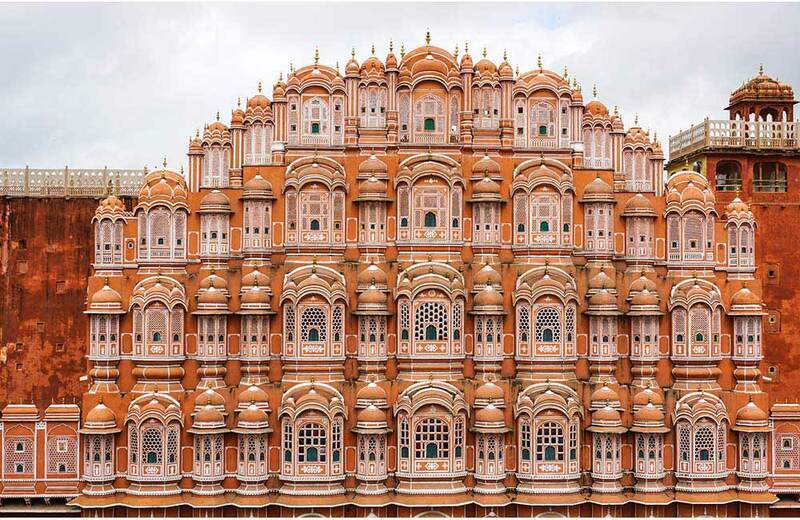 The red and pink sandstone structure of Hawa Mahal is a unique edifice. The cooling effect in the interiors of the chambers due to the breeze getting in through its numerous small windows lends the monument its name. This five-story high pyramidal shaped building looks like a honeycombed hive. It was built by Maharaja Sawai Pratap Singh and dates back to 1799. One of the most visited structures of Jaipur, the Hawa Mahal offers lovely views of the City Palace and the Jantar Mantar from the top. A typical Rajasthani dinner in a local restaurant marked the end of my day and I retired to my hotel room to turn in for the day. It was the last day of my Golden Triangle tour and I had to head back to Delhi to complete the triangle, as they call it. But I wasn’t ready to leave Jaipur without exploring one of its most distinctive landmarks, the Hawa Mahal. The majestic Amber Fort sits atop a hill and remains a testimony to Rajput grandeur and opulence. The fort comprises of an impressive palace complex and there are six main sections of the palace, each having its own courtyard and entry gate. Inside the fort, there are several vendors who sell puppets and other quintessential Rajasthani artifacts. I couldn’t resist buying a pair of colorful puppets which adorn my bedroom walls as I write this! Nahargarh Fort is one of Jaipur’s majestic structures overlooking the city. It was a strategically located fortress, built to protect the city against invaders and served as a hunting residence of the erstwhile rulers. If you want to get a sweeping view of the city, this is the place to be! With this visit, I bid goodbye to Jaipur and made my way towards Delhi as the last leg of my amazing heritage journey. Once in Delhi, I engaged in a bit of shopping in Connaught Place, one of the top shopping destinations in the capital, before being homeward-bound. So, now that you know what makes the Golden Triangle circuit so appealing for tourists, are you game for it? Don’t wait any further. Start planning your trip right away because, in the end, we only regret the trips we didn’t take!